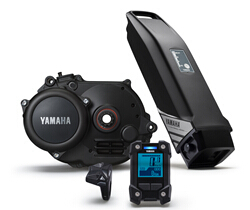 Yamaha Motor Begins Supply of "PW-X" System Kit for Electrically Power Assisted Bicycles　— Newly Developed High End Sporty Model for Europe — - News Releases | Yamaha Motor Co., Ltd.
IWATA, July 18, 2016—Yamaha Motor Co., Ltd. (Tokyo: 7272) announced today that it will gradually begin supplying the "PW-X", a newly-developed system kit to be fitted to electrically power assisted bicycles in the sports category, to European markets. The "PW-X" is a new system kit equipped with a high level of assistance functionality and design to make the most of a sports ride. The drive unit body is lightweight and compact and realizes such benefits as fast responsiveness and powerful assist functionality to provide control as the rider intends, as well as improved design and functionality of the meter display and switches, giving a high end product that satisfies the needs of the European market. 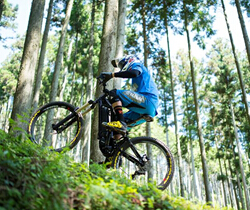 The electrically power assisted mountain bike (E-MTB) scene is highly popular in Europe, and the "PW-X" delivers strong riding performance through powerfully negotiating steep gradients and providing unprecedented response in tune with the rider’s will when exiting tight corners. With intuitive operation and carefully-enhanced visibility of the meter display and switches, this system kit enhances the fun ride of a sports bike. Main Features of the "PW-X"
1) Reduced size and weight of the main drive unit (13% reduction in volume and approximately 380g lighter) while maintaining similar maximum output (torque) to the current PW unit. 3) Powerful new riding mode assist setting (Extra Power Mode) for riding on rough terrain and up steep gradients. Image of bicycle equipped with "PW-X"